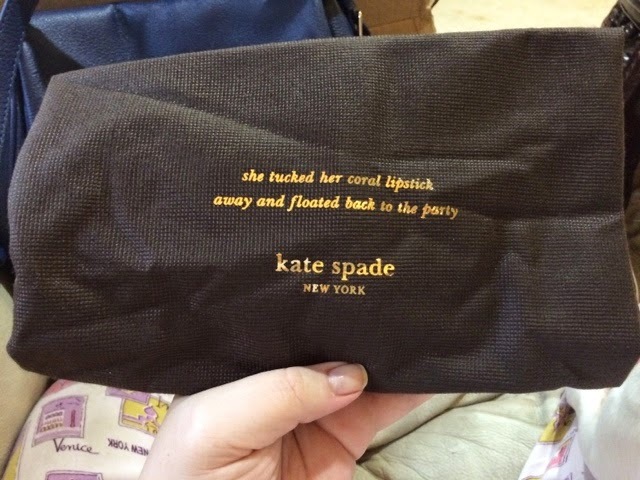 Actually Erica: Kate Spade Cobble Hill Devin: Unboxing And First Impression! 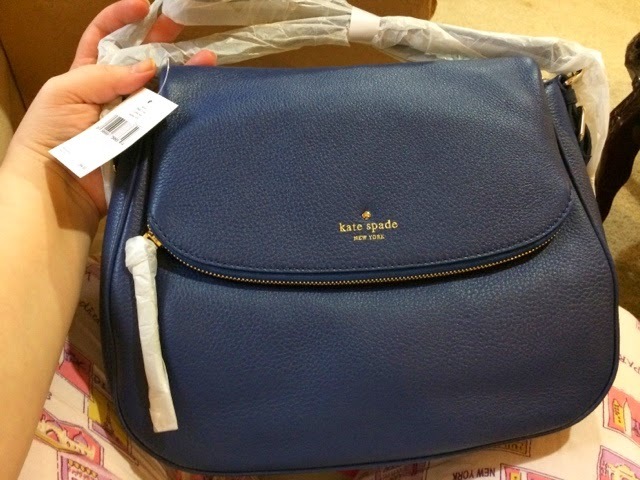 Kate Spade Cobble Hill Devin: Unboxing And First Impression! Hey guys! I just picked up a new bag for Fall and Winter and wanted to come on here and share it with you guys. I'm actually really not a bag or purse enthusiast, it's always not really been a big deal to me. But even though I'm not big into purchasing them, I am picky about the ones I do carry. 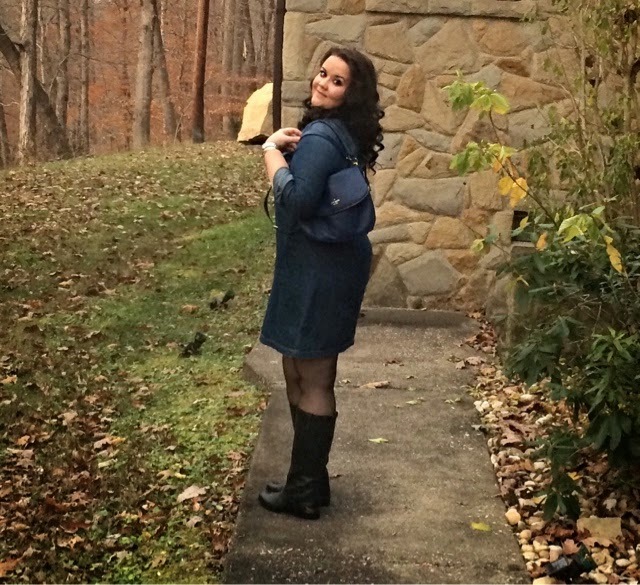 It has to be practical - large enough to carry what I need but not so big it weighs me down, comfortable and versatile. 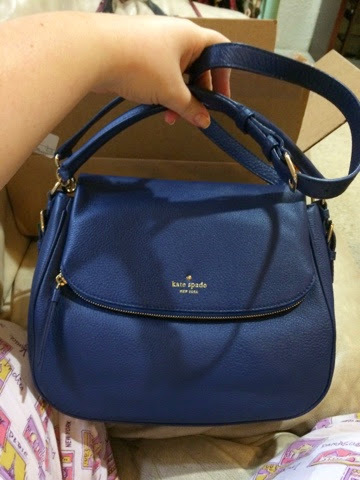 Right now I am in the satchel phase, I like handles so I can carry it by hand, but I also want a long strap so I can use it as a crossbody when I need to as well. I don't need a lot of embellishments, but I want a good quality leather that will last for more than one season. 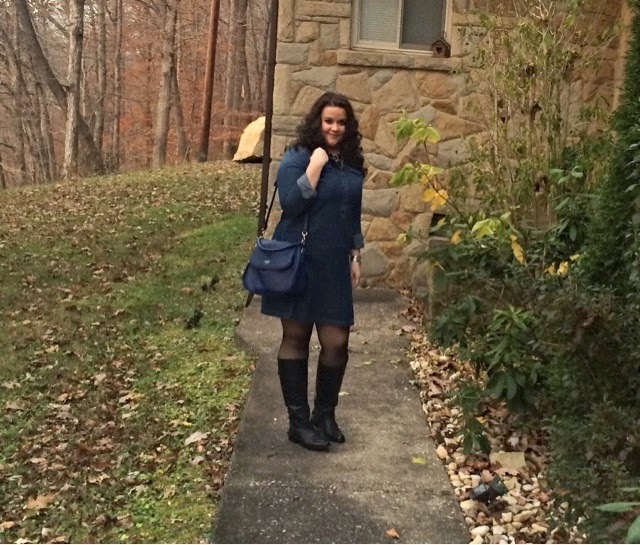 For this time of year I knew I wanted a navy bag, don't ask me why it's just kind of what I had in mind. 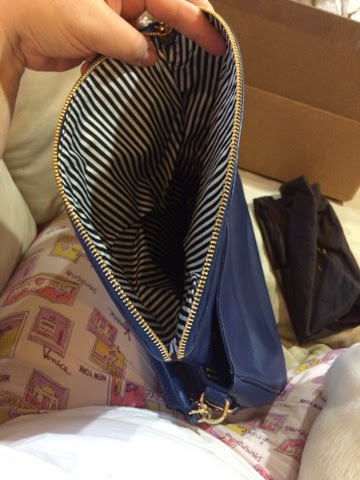 I started to go with a Louis Vuitton Neverfull, but that just seems so expected. I've never been one to go for the trendy bag, I like to be a little different. 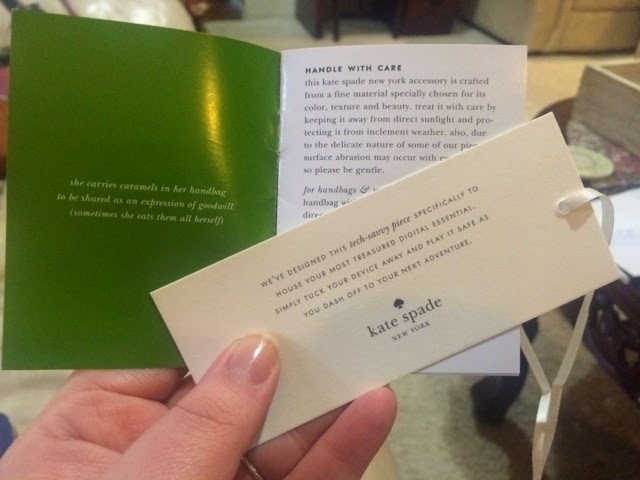 I have always been a fan of Kate Spade, not just bags but jewelry, shoes, etc. 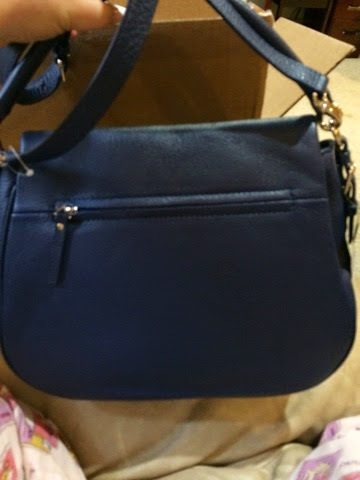 I was on the hunt for the perfect bag for about 2 or 3 days. 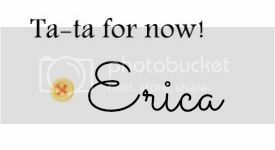 Every website I went on I was just completely underwhelmed. That's when a light bulb suddenly went off in my head and I was like...oh yeah, Kate Spade.....duh. 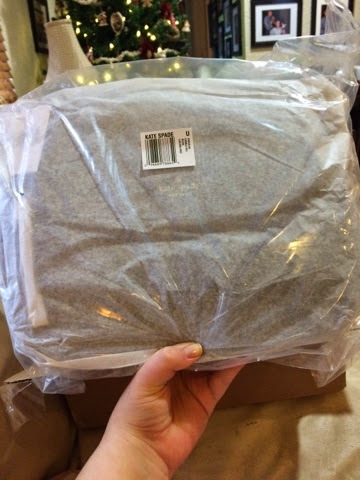 There were so many bags on there that completely fit the bill! 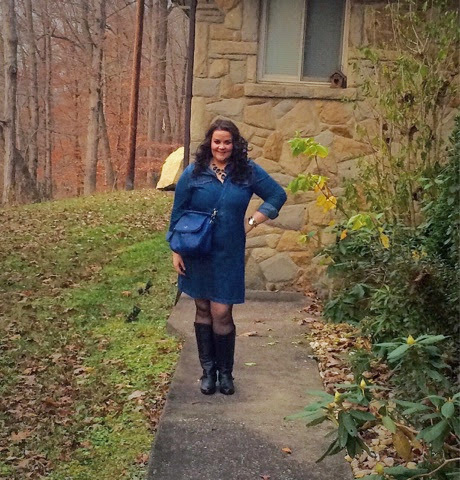 I ended up going with the large Cobble Hill Devin bag with the matching wallet. 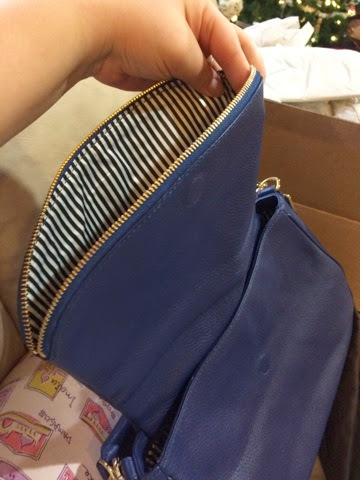 I have never done an unboxing and first impressions blog about anything before, so I decided to do it with this bag. Hope you enjoy! 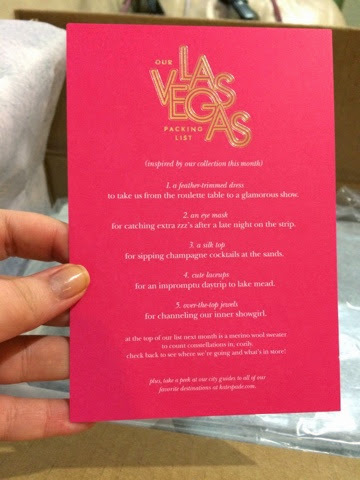 Kate Spade packaging is always perfect, down to even the tiniest details. The Devin bag is a soft pebbled cowhide with 14 karat gold plated hardware. Simple and sleek, this bag was exactly what I was looking for. 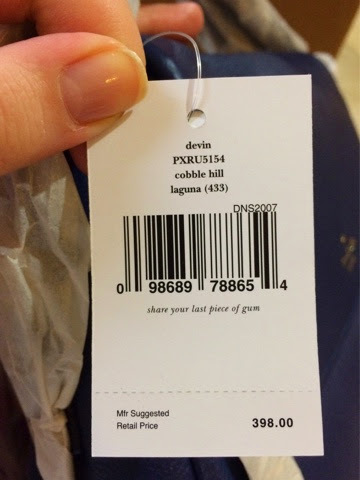 There is a smaller Devin bag on their site, but as I said before, this is the larger one. It measures 10"h x 12.7"w x 4"d. It's plenty big to carry my wallet, keys, phone, travel makeup bag, with extra room to spare. While I know this is not super cheap, compared to other high end brands it is way more affordable. 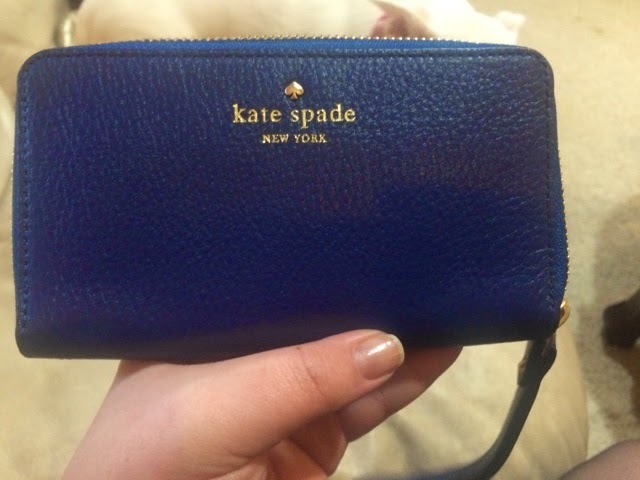 Kate Spade is a great quality and their prices closely resemble that of Coach. I bought this on Veteran's Day weekend and was able to get it on sale for $222! It is still on sale through November 16th, so if you're interested in it now would be the time to buy. 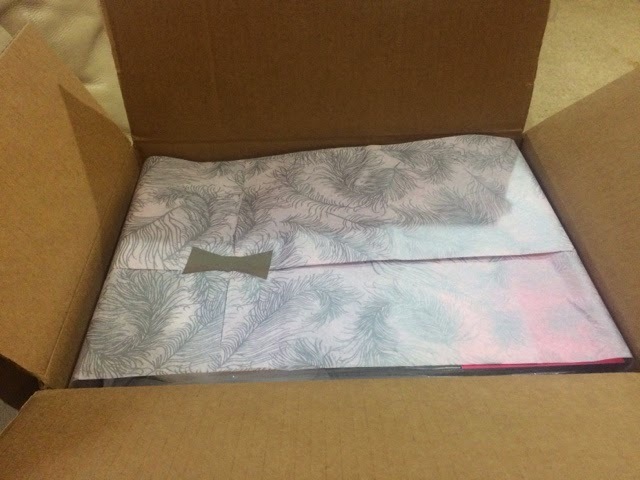 With all the paper and wrapping off. This comes in one more color (warm putty and black) but I chose Laguna, a beautiful navy blue. 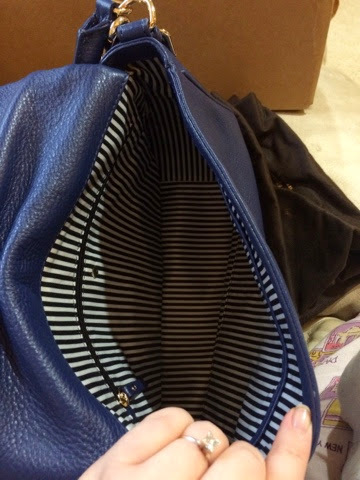 Exterior zip pocket on the back of the bag. Custom woven bookstripe print on poly-twill lining. 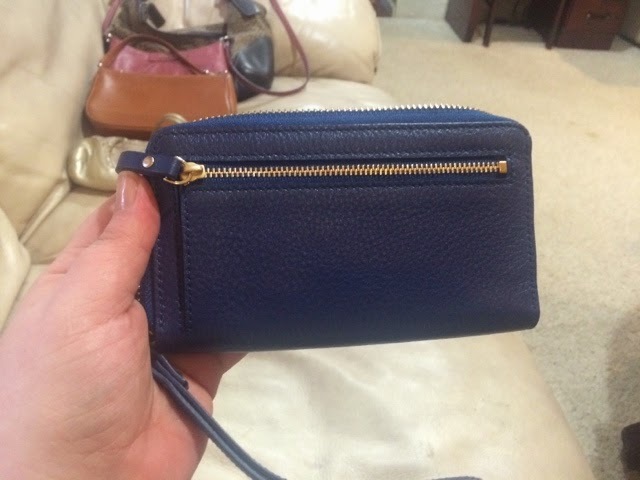 It has an interior zip pocket and double slide pockets as well. The front flap has a zipper which opens to a pocket that goes all the way down. HUGE pocket for holding nonessentials - receipts, drink packets, things that have a tendency to float all over your bag and just take up space. And the matching Cobble Hill zip wallet/cell phone holder in Laguna. Same pebbled cowhide with 14 karat gold plated hardware. 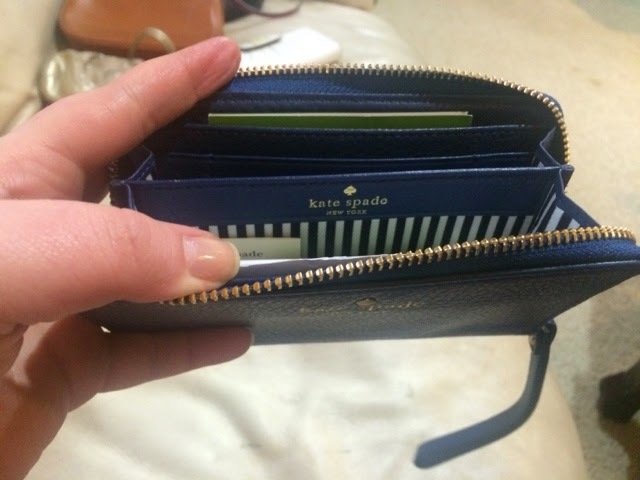 Lots of space for cards and cash with several compartments for your phone and other things. Exterior zip pocket for change on the back. Wallet can double as a wristlet to house your phone and other basic essentials for on-the-go. As a crossbody. (For reference: I am 5'8"). 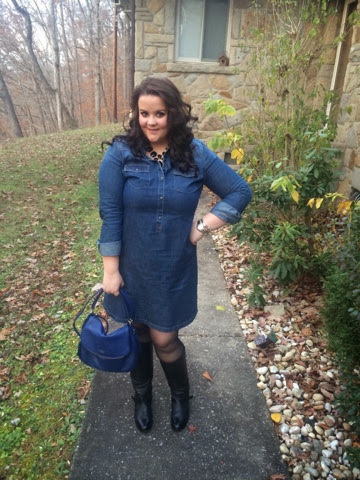 With the long strap over one shoulder. With the short handle on shoulder. I am totally in LOVE with this bag! It is everything I was looking for and I can see myself carrying this bag for years to come. 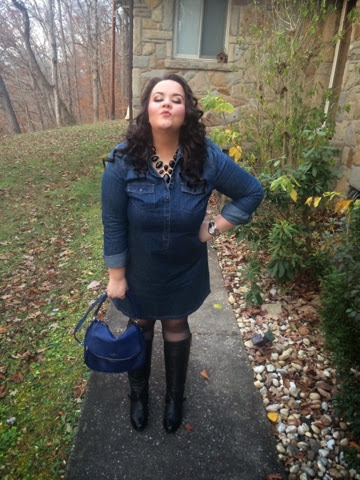 Let me know what bags you're loving and if you love Kate Spade as well. Thanks for stopping by guys! Happy Sunday!